Aromatic Health Product Review and Giveaway! First, some background: I get frequent headaches. And I go through a bottle of Ibuprofin on a fairly regular basis. I definitely don’t like taking that much Ibuprofin, but the alternative is usually to sit suffering at my desk. So, I take the darn things. So when Michelle over at Aromatic Health asked if I’d be interested in doing a product review of her natural care products, I jumped at the chance because she offered a natural headache balm. Now to be honest, I really didn’t think it was going to work. I’m definitely a skeptic when it comes to headache remedies, because it seems as if I’ve tried them all. Usually it’s just a disappointment. But I’m happy to say I was dead wrong about Headbalm. This stuff is amazing, not only because it’s 100% natural, but because it works. It’s vegan, cruelty-free, and 100% non-toxic. Michelle is also a signer of The Compact for Safe Cosmetics, which means you won’t find any chemicals or dangerous substances in her products. 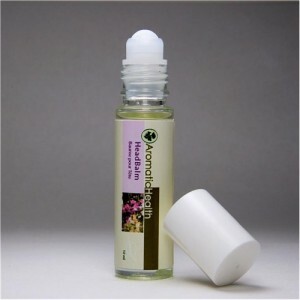 On Michelle’s site it says to apply the Headbalm to the nape of the neck and to the temples. I found it actually worked best if I put it right under my nose. Now, my headache did not magically disappear as soon as I started smelling the essential oils. It won’t do that even with Ibuprofrin. But it did start to fade away, sometimes quite quickly. I’ve used the Headbalm through six headaches now. Four of those headaches were dispelled thanks to the Headbalm. The other two weren’t, but I got both of those after an intense run, and I think they were due to dehydration. If you have frequent headaches I’d highly recommend you check out Michelle’s Headbalm. I can’t say that it will work for everyone, but I can say that it worked for me. I keep it in my purse all the time now, and am really grateful that I have it on-hand. The fragrance is wonderful, and it’s really nice to smell it constantly when my head is pounding. Yep, There’s A Giveaway Too! Michelle has very kindly offered to sponsor a giveaway for everyone. Yahoo! The contest will run from today (Tuesday) until midnight on Saturday, May 1. 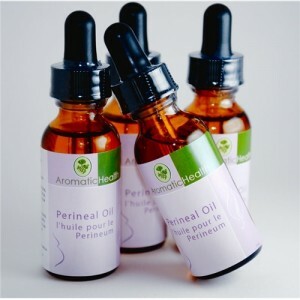 To enter, head over to Michelle’s site, Aromatic Health. Take a look at her products, and decide what you’d like most to win. Choose carefully! Your choice is what you’ll get should you win. She has wonderful products like belly butter (for pregnant bellies), citrus body scrubs, anti-nausea essential oils, organic massage oils, and much more. Many products are geared towards pregnant/nursing mothers, and children. Then, come back over here and leave a comment, letting me know what you’d like to win. Monday morning I’ll use Random.org to draw a winner! Make sure, when you leave your comment, that you enter a valid email address; this is how I’ll be contacting you if you win! Good luck to everyone, and have fun picking! If you want to stay on top of what Michelle’s doing over at Aromatic Health, you can follow her on Facebook and Twitter. You can also sign up for her newsletter, which focuses on essential oils and how they relate to health issues. Sign up at the bottom of her home page. I get regular migraines and would love to try the headbalm to see if it would help at all! My migraines often last the whole day…or longer. I definitely like the Essential Wellness kit. It has the Headbalm plus other good stuff. If I can’t win that then most definitely just the Headbalm! LOL. I like the Citrus Body Scrub! Thanks for the opportunity! I’d really like to win the Headbalm you described in your post. My fiance is a blogger for a large website and most days spends 9-10 hours in front of a computer screen. Needless to say he gets headaches fairly regularly and often times Tylenol just doesn’t work. I’d definitely like to try this product out on him. My husband suffers from frequent headaches also! I think it’s the line of work he is in. He works in a noisy factory all day. I am hoping the headbalm will help him. Good luck to me! Coincidentally (and timely! ), I had a major migraine yesterday, so this post certainly caught my eye! I would LOVE to try Headbalm. It sounds soothing and would be much more pleasant to use than any medication. The other products on the site look good as well, but the Headbalm is looking especially good this week! I’d go for the essential wellness kit. It has everything in there, including the headbalm, which I’d love to try (I’ve had migraines since I was 3, so I completely understand how you feel!). This is one giveaway I could really use. I have several health issues and if these products will work for me, that would be amazing! I take too much prescription medication already, and it would be wonderful to have natural relief for my severe headaches (and the nausea that sometimes accompany them), relief for my constantly aching muscles and a natural remedy for my mental clarity issues. Thank you for such a great giveaway! I would also love to try the Headbalm. I could easily go through a bottle of Aleve in a couple of weeks and really (really) need to stop doing that to my body. Thanks for the chance! I would love to win the Essential Wellness Kit in the Aromatic Health giveaway! Thanks so much for all the wonderful info you post! Headbalm would be perfect. I would love a natural alternative to the chemical mix that is Excedrin for myself (migraines) and my partner (tension headaches). Thanks! I’d love to have the AH! Choo for my sweet little girl. I’m really trying to go as natural as possible with treating all of our illnesses, allergies, etc. Well I guess I am just going to be greedy because there are so many things I would love to try, the essential wellness kit would be wonderful, but so would the massage oil and the muscle ointment. We work alot in the garden so the cold/sinus or stress relief sounds great, but we are open, anything that is natural and could help keep us from taking medication would be great. What great sounding products and a great post. I would love to get the citrus body scrub, it sounds wonderful! Would love to get the citrus body scrub. Sounds wonderful! I would choose the Tranquil Child oil because my kids have a hard time falling asleep. I would love to try the Headbalm, too. I get frequent headaches and hate taking Tylenol to get rid of them. Thank you for your continued AWESOME information and insights. I am interested in the Cold and Sinus blend! I’d like to win the headbalm in the giveaway… all of the products sound really great, actually! I would love to try the headbalm! I too get frequent headaches and don’t like to take a lot of medicine. The other products look great too, wish they had been around many years ago when I was pregnant! I would love to try the headbalm! I get frequent headaches also and don’t like to take a lot of medicine. Everything else looks so wonderful too, wish it had been around many years ago when I was pregnant! I would love to try the headbalm! I get frequent headaches too and don’t like to take a lot of medication. Every on the site looks wonderful, I wish it had been around when I was pregnant many years ago! The essential wellness kit is right up my alley. Between springtime allergies and work-related stress, this would take care of me!